Puttu is my all time favorite. 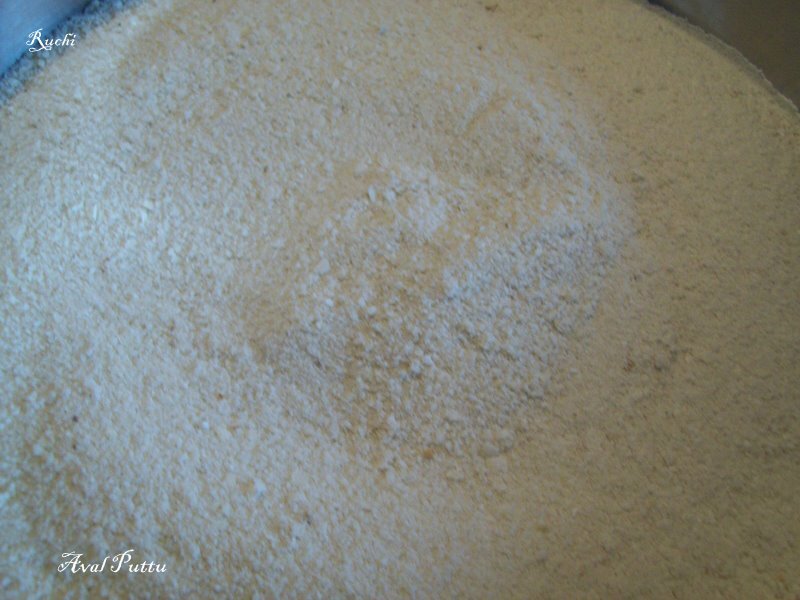 Aval Puttu is a delicious snack and is used to prepare in functions & festivals prepared as a neivedhyam .Rice Puttu is quite a long process. But Aval Puttu, is a simpler version and just as tasty as the rice puttu. 1. Heat oil in a pan and fry the poha for 1-2 minutes until turns to light brown color. 2. Grind the poha into coarse powder. 3. Heat the water with salt & turmeric till it becomes lukewarm. 5. Mix well with hands without any lumps. 6. Now, in a deep pan pour 50 ml water and put crushed jaggery and when it melts filter it.Make syrup out of it. 9.Heat the ghee in a pan, roast the coconut and cashews until turns to light brown color. 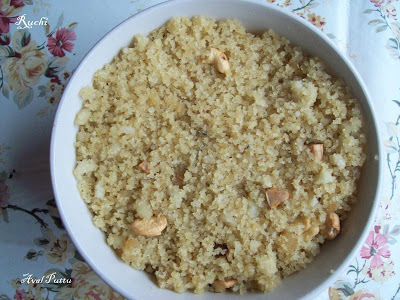 10.Add the roasted coconut, cashews with cardamom powder to the poha and stir well. 11.The 'puttu' is ready and it must be like 'dry sand' after adding the jaggery. Allow to cool & then serve.